It’s LIVE!!! OMG, Q and Tess are hitting kindles all around the world for those who pre-ordered and those who are waiting till instant gratification it’s live as of NOW! On all platforms. 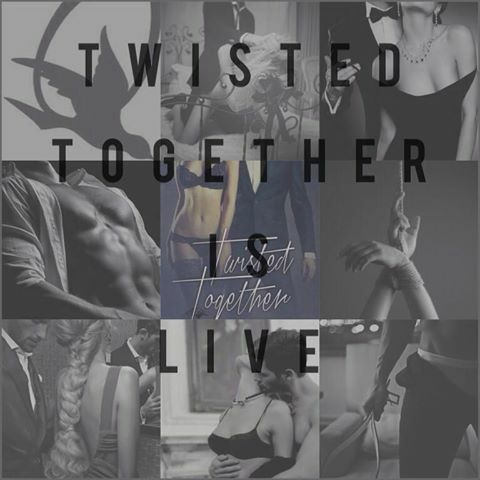 Twisted Together Signed Paperbacks won’t be sent until mid-July due to me leaving for the signing in Edinburgh next week and not returning until early July. Sorry for the delay! <3 However, if you make an order, I’ll keep a note and send upon my return. Thanks so much for all your amazing support and I hope you enjoy Tess and Q’s final journey.